According to the Environmental Protection Agency, the Social Cost of Carbon (SCC) is supposed to be “An estimate of the economic damages associated with a small increase in carbon dioxide (CO2) emissions, in a given year”. However, the EPA’s “analysis” of the “social cost of carbon,” developed recently as justification for a rule constraining energy use by microwave ovens, ignores the fact that U.S. emissions of greenhouse gases are about 17 percent of the world total. Therefore, even an immediate reduction by half in U.S. emissions would yield a reduction in world temperatures of about one-tenth of one degree by the end of this century, a change smaller than the standard deviation, and thus difficult to distinguish from statistical noise. That temperature change is trivial; accordingly, the “benefit” of U.S. carbon reductions is zero. As Asian emissions grow inexorably over time, even that temperature effect will become smaller, as the (logarithmic) relationship between emissions and temperatures declines as concentrations increase. 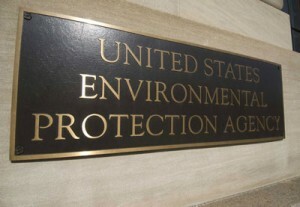 Moreover, the EPA analysis violates procedural guidelines imposed by the Office of Management and Budget: Only the supposed benefits and costs of a rule felt by the U.S.—not the rest of the world—are relevant for federal benefit/cost analyses, a constraint crucial in that incorporation of worldwide effects would leave the U.S. to bear all the costs of environmental protection for the entire globe while the rest of the world would be encouraged to obtain a free ride on U.S. efforts. The EPA analysis assumes a range of discount rates—a crucial parameter sharply shifting the bottom line—that violates OMB guidelines. Moreover, because the costs of the rule are far more certain than the benefits—the climate models simply are unreliable in terms of the long-term effects of changes in GHG concentrations—the discount rate applied to costs should be substantially lower than that applied to benefits. And so on. The bureaucracy is an interest group, the implication of which is that OMB directives cannot yield analytic objectivity; the routes by which benefit/cost analyses can be manipulated are too numerous. Instead, only political accountability—a requirement for Congressional approval of major rules—can impose discipline upon the bureaucracy and other political interests attempting to impose large costs upon the private sector in pursuit of political ends. What’s your view on the EPA’s analysis of the “social cost of carbon”? 3. It’s truly distressing to hear the argument advanced that the U.S., the second largest aggregate producer of greenhouse gas emissions, and highest historical producer, doesn’t need to act because the impacts would be de minimis. Besides considerations of equity, I think U.S. action would help to galvanize other countries, e.g. the EU, to take on more stringent commitments due to a reduction of competitiveness concerns (something the EU Commission has stated), as well as help to provide more moral authority to pressure emerging economies to do so. Dr. Zycher does not deny that climate change is occurring, that humans are principally responsible and that it is bad for the planet. Yet he recommends unilateral inaction by the U.S. He is correct that US emissions are only about 1/6 of total emissions right now, but it is worth noting that the U.S. is responsible for roughly 27% of the CO2 in the atmosphere that are currently impacting the climate. And the logic of his first argument – that the marginal reduction of pollution effectively “rounds to zero” – ignores the basic fact that it is the cumulative impact of many small actions that leads to significant change. On his logic, we might as well all dump our sewage in the ocean, because the marginal impact of our not doing so is effectively zero. Dr. Zycher is correct that OMB guidelines for CBA suggest using domestic costs and benefits, but they do not legally require it, and indeed A-4 suggests taking international benefits into account and reporting them separately. It is important to realize however that those guidelines are based on precedents in which the benefits of pollution reductions are primarily domestic, and the international component is small and separable. In this case the majority of benefits are international, and for many reasons it is difficult to cleanly separate the domestic component. More importantly, however, as economic theory clearly shows, if all countries only take into account the domestic benefits of reducing global GHG pollution, the global damages will be far above the “optimal” level including for the United States. We do indeed need other countries not to “free ride,” but we cannot expect them to if we justify our own free-riding! The discussion of discount rates seems ill-founded. OMB’s A-4 allows the use of a 3% discount rate for long-term analyses. Various OMB circulars recommend the use of multiple discount rates to determine sensitivities of conclusions to the time value of money. Seeing how 3% is the central discount rate used in the SCC, Dr. Zycher’s criticism of the EPA analysis does not hold much water. Numerous ethics issues entangle the choice of discount rates; some economists even justify zero or negative discount rates in dealing with climate change. There seems to be a little bait-and-switch, or even outright hypocrisy, taking place at the end of Dr. Zycher’s essay. A large part of his criticism is built on the authority of government rules, then he argues that the government bureaucracy is illegitimate and its analyses can’t be “objective” because it is an interest group. He also may be wrong about EPA needing congressional approval for major rules – in fact, the Supreme Court ordered EPA to do the endangerment finding, which once concluded, provides the legal basis for taking action under the Clean Air Act. In any case, upcoming legal decisions will sort out this question. The tragedy of the commons shows us the difficulty of motivating collective action, when shared resources are being depleted, despite widespread recognition that the outcome is harmful to society. Perhaps Dr. Zycher would support a global UN authority created to internalize the negative impact of CO2 emissions? Public commentary likely will help illuminate the subjective, speculative, and arbitrary nature of such calculations. The new rules for quantifying the social cost of carbon (SCC) imply two sets of economic transfers. First, by basing the SCC on global rather than on U.S.-only costs, the rules implicitly support transferring income from U.S. citizens to foreigners—especially to those living in poor countries with tropical climates. Second, by basing the calculations on artificially low discount rates, the rules impose tacit income transfers from people living now to those who will come long after them. Overall, the new rules exacerbate the pattern of transfers that is already inherent in GHG control. That pattern, as Tom Schelling has long noted, imposes net costs on Americans living today in order to confer benefits on future generations (mostly) of foreigners living in countries that are very exposed to harm from climate change. Even if one believes that the proposed transfers are somehow ethically right, greenhouse gas controls are a costly way of making them. If the goal were to benefit future U.S. citizens, many investments would yield higher social rates of return than those implied by stringent greenhouse gas controls. In fact, even if current U.S. citizens wanted to spend more on aiding foreigners than they now do (a highly doubtful proposition) they could readily find higher yielding ways of doing so than by making deep unilateral U.S. emission cuts. The whole point of benefit cost analysis is to reveal the full welfare impacts of alternative courses of action. Instead, the new rules seem designed to portray as net benefits what are in fact transfers that most voters would never knowingly support. If left unchecked over time, practices that embody this kind of sly speciousness erode the public’s trust in the basic institutions of government. Central planners will tell us it takes a village to build a brave new world. Lee Lane is spot on. So much of what passes for “policy” is nothing more than throwing untested market theories into play, hoping to achieve first-order goals until such goals are defeated by the unintended consequences feeding back into the market system. Fortunately for central planners everywhere, failing to hit a target is not a measure of performance. All that seems to matter is they “care”. In the case of real energy markets, the price signals crucial to cost-benefit calculus have an event horizon that thins out to illiquidity beyond 6 months and essentially dissipates to nothing 12-18 months out. That’s the real world. But in the black arts of cost-benefit analysis, price signals live on for years, buoyed by an imaginary market of limitless depth, and immune to distortions from all other effects, including central bank policies injecting trillions per year and inflating asset prices at 2% per year compounded (or worse). Since cost-benefit analysis is not about real valuations or the real world, we should call it what it is really is: a Potemkin Village. Planners always rely on such villages to justify one or another centrally-planned project. So why not centrally planned global climate engineering project? As Lee Lane highlights, make-believe worlds and Potemkin Villages are essential to hiding reality from the ever-diminishing number of US taxpayers who are paying for all of these “villages”. Lee, good to hear you mention Tom Schelling — a personal hero of mine. I would like to suggest that the Hudson Institute look into the actual substance of the recently released 2,216-page IPCC report. I have read it cover-to-cover and find it to be in stark contrast with the 20-page summary report and all the reporting in the media and political spheres. I think there is a huge story here for whoever is willing to dig it up and report it. It essentially says the sky is not falling. This changes the entire calculus for burden shifting. Thank you for your kind reply. On climate change as on a number of other vital issues, Tom Schelling has long been, and continues to be, a source of sharp and fruitful insights. On the IPCC, while I think that climate science remains fraught with a great deal of uncertainty, the policy conclusions that the IPCC has drawn from that science are demonstrably unworkable. Therefore, my IPCC work focuses on Working Group III. Specifically, I have tried to critique Working Group III’s long running efforts to implement global scale social engineering in the service of greenhouse gas control. Next spring Working Group III will release its next summary report, and I plan to produce a critique of it. I will take this opportunity to revise and extend my comments originally posted on OEP at https://www.ourenergypolicy.org/assessing-the-impacts-of-epas-new-coal-power-plants-rules/#comment-1464. When policy-makers and regulators oversimplify problems and make policies and rules based on those oversimplifications, they are bound to do more harm than good. If we are going to attack global warming by limiting GHG emissions, we need a coherent, comprehensive, and evenhanded policy that covers all GHG emissions in proportion to their IPCC-ranked global warming potential, and considers climate risks and damages in the context of other risks and damages. Otherwise we will simply guide people from one harmful behavior into other worse behaviors. In the context of anthropogenic climate change risk, carbon dioxide (CO2) is only one of several non-condensing, long-lived, well-mixed GHGs which contribute to global warming. The IPCC has determined that nitrous oxide (N2O) warms the Earth 298 times more than an equivalent mass of CO2 over a 100-yr interval, and this gas happens to be primarily released by fertilizer production and application (i.e., by global food and biofuels production). Recognizing that ammonia fertilizer and farming release their own significant GHG emissions dashes the myth of cultivated crop biofuels being pristinely clean and green, even before land use change is factored in. N2O release is growing apace with CO2, and it is now also the number one ozone-depleting gas. In addition, the nitrate runoff of fertilizers and phosphate runoff of pesticides is also responsible for the eutrophication poisoning (algae bloom dead zones) which affect 1/5 of U.S. streams and 2/5 of U.S. lakes, and a huge portion of the U.S. Gulf Coast. Who is computing the social costs of N2O and biofuel agriculture? Nitrogen triflouride (NF3) is a whopping 17,200 times more potent in global warming than CO2, and is emitted during production of computer chips and solar panels. Its release is growing proportionately faster than CO2 and N2O. Tallying up the full spectrum of lifecycle GHG emissions for solar and wind electricity and hybrid cars, including the necessary mining and smelting and fabricating of the glass and steel and aluminum and cement and rare-earth magnets and batteries, and adding the emissions of the power plants that back up their intermittent generation and charge their batteries, it is found that claims of being “clean” and “green” for these technologies are similarly specious and deserve to be rigorously quantified. Anthropogenic methane (CH4), whose global warming potency was recently revised upward by the IPCC to 34 times worse than CO2, is primarly released, not by fugitive emissions from the petroleum industry, but in equal shares by landfills and livestock. Policy-makers should understand it is actually 34 times better for the climate to burn methane to CO2 than to release it unburned. The use of land for energy also carries its own social costs because there are many competing uses including food agriculture, housing, commercial development, and conservation. All costs and benefits for energy can only be compared properly when normalized to the unit of energy service delivered. When we normalize land use to units of energy we find that conventional terrestrial oil historically requires the industrialization of about 3 acres per MW, while solar requires 40 acres/MW, corn ethanol requires 800 acres/MW, and soy biodiesel requires 3,200 acres/MW. The fraction of land within the boundaries of a wind farm and a tight gas fracking lease temporarily and permanently impacted are virtually identical, and both permit other land uses for the unimpacted fraction. Yet, wind requires 200 acres/MW while hydraulic fracturing typically requires only 1 acre/MW in the early years of production tapering off to approximately 10 acres/MW in the out-years. Land use is a zero-sum equation, and the effects of apportionment are of much greater immediate consequence than GHG emissions. With the world’s population increasing to 9 billion by 2050 and the need to put approximately 300 million additional acres of land into food cultivation to feed us all, there is arguably no higher social cost than land footprint . . . except for perhaps water footprint. One-third of the nations of the world are currently evaluated as “water poor” and that fraction will grow to two-thirds by 2050 due to widespread over-pumping. The US is rapidly depleting its own Central Valley and High Plains aquifers. When we normalize the delivery of energy to the lifecycle use of water in units of gallons of ethanol energy equivalents to gallons of water consumed, the results are compelling. While conventional petroleum fuels and natural gas have water footprints of only 2.3 to 15 gallons-per-gallon including all the water used for enhanced recovery and hydro-fracturing and refining, biofuels range from 800 gallons-per-gallon for sugar beet ethanol to 20,000 gallons-per-gallon for jatropha biodiesel, with much-hyped micro-algae ranging from 3,000 to 12,000 depending upon the approach. Military strategists have long recognized that water scarcity is already a flash-point for international conflict, and that food and water will likely drive more instability and conflict in the future than petroleum. Effective policy also requires precise calibration of incentives and regulations to achieve the balanced and complex responses necessary to mitigae complex threats. No one should be allowed to sit on the panel for calculating the social cost of carbon until they have read from cover to cover the recently released 2,216-page IPCC report on the scientific basis of climate change (“WORKING GROUP I CONTRIBUTION TO THE IPCC FIFTH ASSESSMENT REPORT CLIMATE CHANGE 2013: THE PHYSICAL SCIENCE BASIS.” IPCC, September 30, 2013. http://www.climatechange2013.org/images/uploads/WGIAR5_WGI-12Doc2b_FinalDraft_All.pdf.) If they do, they will find that it does not say what they media and Malibu celebrities and administration officials claim it does, or even what the highly politicized 20-page summary report says it does. For example, the main report authors recant on every prior claim of imminent disaster or irreversible, runaway climate tipping points. The authors specifically repudiate the claims made in the 2007 IPCC report that human CO2 emissions are increasing the likelihood of droughts. They admit there has been a hiatus in warming since 1998 and express significant doubt about the current climate models and their predictions, which they acknowledge have all universally overestimated warming by a quarter degree or more. They reveal that the best current research now indicates that floods and damaging weather were worse in the centuries before the 20th, and that there is no trend of increasing hurricane or cyclonic weather intensity. They also admit that the principle consequence of warming temperatures and increasing CO2 has been more rain and more plant fertility, and that the net effect of warming up to current optimal temperatures and for another 2 degrees Celsius or so is beneficial to humans and the planet. In fact they have found the earth’s green vegetation increased 6% between 1982 and 1999. For those that will not read the report for themselves, I offer this quote as an example of its content and tone. In short, the new IPCC report that is claimed to reflect the scientific consensus on climate change is in fact a potent indictment of climate alarmists. Up to now, climate change has been something of a club sport where the bulk of the research has been by specialist scientists who have self-selected into the field with ideological motivations, and where a few voices in the field have carried disproportionate influence. Now mainstream physicists and economists and experts from other non-climate disciplines are starting to participate and are finding significant flaws in some of the assumptions and approaches underpinning the alarmist point of view. For example, here is a presentation recently delivered to an audience of physicists at Princeton that asserts, among many other things, that the influence of CO2 upon global warming has been over-estimated by a factor of 3 because of simplistic modeling of its absorption spectrum (http://marshall.org/climate-change/why-has-there-been-no-global-warming-for-the-last-decade/). If the global warming potential is indeed off by a factor of three, as the predictive failure of the climate models may corroborate, the social cost of carbon would also be similarly miscalculated by a factor of three. On the economic front, a recent report by the National Research Council of the US National Academies documents how misguided EPA RFS policies and federal subsidies and tax breaks favoring biofuels have actually had the perverse effect of increasing gasoline consumption, increasing gasoline exports, and increasing GHG emissions (Effects of U.S. Tax Policy on Greenhouse Gas Emissions. Accessed August 22, 2013. http://www.nap.edu/catalog.php). The study author, Dr. William Nordhaus, professor emeritus at Yale, is also the author of DICE, one of the major global warming integrated assessment models, and an example of the caliber of scientist and researcher who should participate in any federal determination of “social costs” of any kind. The “precautionary principle” is raised by many as an excuse for taking immediate drastic action even in the face of scientific uncertainty. The argument is that even if the risk turns out to be smaller than originally anticipated, it doesn’t hurt to take mitigating action just in case. However, the precautionary principle cuts both ways. In a cost-benefit analysis, it is important to make sure the cure is not worse than the disease. It is very risky malpractice to give a patient an untested and hastily concocted vaccine, especially when the disease and its severity are not well understood. In the case of the developed world’s panicked response to climate change alarmism, we have burned down millions of acres of primeval forest and peat field carbons sinks, and diverted enormous resources from food cultivation to fuel cultivation, and, according to World Bank-sponsored research, pushed 850 million more Africans into malnutrition for the cure of biofuels, while the principle consequence of global warming so far has been a 3 mm per year rise in sea level. Likewise, the uncritical embracing and reckless subsidizing of intermittent and extremely low power-density solar and wind energy and the pushing of these square pegs into the round holes of national power markets is pushing up the price of residential electricity across the US and Europe (to above 40 cents/kWh in Denmark and Germany) and is bankrupting the Spanish government. Current policies are decreasing the reliability and affordability of electricity and changing it from a universal human entitlement to a luxury for the rich. Europe is already suffering the phenomenon of people who can’t afford electricity illicitly logging national forests for heating and cooking fuel. We are on the same path as these nations, but fortunately not yet so far along. There are very real social costs for “renewable energy” as limited by current technology. Exclusively demonizing CO2 is a fatally flawed approach guaranteed to deliver a perverse outcome. If the federal government is going to attempt to slow the US contribution to climate change through regulation, then it must address all the causal elements with sanctions that are proportional to their evils (including all types of power plants, all fuels, full lifecycle costs, and all GHGs in proportion to their global warming potentials). If EPA does not make regulations that address the lifecycle emissions and social costs of alternative energy as well as conventional energy, and do not aim to slow nitrous oxide emissions 298 times more than CO2 and nitrogen triflouride emissions 17,200 times more than CO2 and methane emissions 34 times more than CO2, it is a clear indication that its agenda is not science or global warming, but the politics of pleasing certain constituencies at the expense of the greater good. It is even more dangerous policy to elevate anthropogenic climate change to the single-most critical threat for mobilizing national and international resources to the detriment of the full portfolio of threats that includes much more pressing and immediate threats such as pandemic disease, bio-terrorism, cyber attack, nuclear proliferation, water scarcity, exploding food and energy demand in developing nations, political instability, economic competitiveness, national debt, and global market and commodity crises, etc. Certainly there are externalities for all energy options that are not being priced in by the market, or are being mis-priced because of subsidy and regulatory distortions. The EPA has repeatedly proved itself unable to do basic math (RFS volume obligations and blending fines) or balance competing environmental risks (MTBE) or anticipate multi-dimensional consequences of single-minded actions (ULSD). No effort conducted by the EPA or by partisan minions behind closed doors in the White House with predetermined ideological outcomes is going to serve the nation or human posterity or the global ecosystem well. What is needed is a cross-discipline panel of physicists and chemists and economists and engineers with credibility in the fields of energy and agriculture and the environment to work transparently on a full matrix of the social costs and benefits of each energy alternative normalized to units of energy service delivered, and in the context of the broader risk portfolio of the nation and international community. While this effort will certainly take considerable time to be done right, the government would do well in the near-term to move toward zeroizing all energy subsidizes and levelizing all energy taxes and agnosticly rewarding only energy efficiency (and EROI — the energy efficiency of energy) as the one virtue that is universally good for the consumer, the environment, and national security. Thank you for this work. You have made a wonderful contribution to Our Energy Policy. We need to spread the information to those who may yet have an open mind. Please, please, continue the good work. Ike Kiefer makes some interesting points. We must have an overall method, such as “External Entropy” to judge all energy choices. Much of his fire is reserved for bio-fuels, but he draws a questionable conclusions because he assumes that we will continue to subsidize corn ethanol, and that the algae use of water will mean loss of water, without considering recycling. Senator John McCain, when he ran for President, made a good point that it was far more thermodynamically and economically efficient to sell US corn, as food, for Brazilian ethanol than to cause the havoc to the agricultural economy in the western hemisphere with the 10% of corn ethanol we use in gasoline. The negatives Ike Kiefer cites from industrial scale agriculture do not exist in smaller scale sustainable agriculture. I have also commented that PV is not pollution or space free, but there are locations, such as the US Southwest, where it would not interfere with other uses. Offshore wind may be a better choice that on-shore wind for its greater load factor, even though the initial cost is lower for on-shore wind. Nuclear fission could be viable if we could come up with a site, as Finland has on its north coast, such as in Alaska, where a trade off of protecting millions of acres of habit for endangered species could be balanced with a small stable granite hole and ceramicised high level waste. People of good will have to come up with a formula that objectively evaluates alternatives. Of course, assumptions always load the dice. However, as EEEI standards committees have shown, if technically knowledgeable people with various skills work together in good faith, then objective standards are possible. I wondered when people were going to pick on up on the massive implications of the misleadingly innocuous “microwave rule” and its groundbreaking inclusion of climate change emissions calculations and guidelines. I noted in a piece for Breaking Energy earlier this year that the Administration had done the most central thing in establishing a policy for carbon: they had put a price on it in the microwave rule. Dr Zycher’s arguments are technical and probably accurate enough, but they fail to address the real question here, which isn’t precedent. There isn’t much practical specific precedent when it comes to a subject as large as emissions contributing to climate change; earlier emissions rules could make significant changes by targeting single industries with large, integrated supply chains and near-hegemonous power over their industry in aggregate. Greenhouse gases – particularly carbon dioxide – are more diffuse in production, harder to monitor and harder to directly point to negative effects (try as we might to blame global warming for hurricanes, and they might be getting worse because of global warming, nonetheless bad weather and unusual weather will happen no matter what humans do). Ultimately the question is moral, which means it is political, not bureaucratic. The fact is that everyone would like to have it both ways on this subject. Environmental interests have done a good enough job of panicking the general population about climate change, but haven’t built up sufficient political weight behind the subject to actually move something forward in an electoral body (though they’ve come close). Business would like the certainty of a price on carbon if they’re going to have to restrict it, but no one is interested in going first. Using the regulatory system to impose political changes is paternalistic and definitely not ideal, but if anything has an esteemed history it is an imperial center believing it understands what a population needs better than the electorate itself does. DC is no different, and neither party is fundamentally any different – the more Congress becomes a performance space for the advancement of media careers the more anyone wishing to get something done must turn to the part of the US government that still mostly works. I for one am relieved to have a price to discuss, even if the price formation was by fiat. If this issue is ever going to come up for meaningful policy discussion and help control the huge unpriced risk for companies producing these emissions, there has to be a starting number and now we have it, buried deftly inside the microwave rule. Ultimately, social cost only can be determined by society itself, not by a panel of technocrats. Society expresses its determination of costs or benefits through public behavior in commercial and political markets. Roger Pielke Jr. derived his Iron Law of climate policy by reviewing the results of numerous public opinion surveys throughout the world as well as actual social behavior. That is: While majorities of the public in many places favors doing something about the potential hazards of human-caused climate change, they are not willing to pay a price that would impede economic growth and development. The rationale for EPA’s social cost exercise seems to rest on the fallacious ‘deficit’ model of social change. The latter presumes that public opposition to measures a technocratic elite deems good for the general welfare results from inadequate public understanding of scientific and technical facts. Pielke and other social scientists have shown that the deficit model is false. The attempt to marshal scientific expertise to advance an ideological objective does not alter the balance of public preferences. Rather, at most it inflames political polarization, politicizes science, and aggravates political gridlock, limiting the capacity to undertake any constructive action. See: http://j.mp/12kI5pm. Also: http://j.mp/17ZQ3bb. Externalities are generally measurable. The question becomes what assumptions are used in the formula. Pols cannot be trusted to make objective judgements – I would rather see a group of engineers, physicists, lawyers and ethicists, with some knowledge of each other’s fields, to come up with standards. The same would go for a group of accountants and lawyers to really simplify the tax laws. Prices by fiat – now there’s a refreshing bit bit of candor. Throughout history, dictators and royals have always resorted to manipulating markets in efforts to monopolize their power over others. Markets are enemies of the state because they promote individual choice and autonomy. Those who presume to dictate know they have to speak in market terms of choice to keep the people at bay. We see this in the Affordable Care Act. And, in silly attempts to engineer a GHG market. At some point, the pretense of “market solutions” is dropped when those with power don’t like where the market is heading. When that happens, dictators waddle into the market, restrict autonomous behavior, set prices enforced by police powers, ban some commodities, restrict purchases on others, and confiscate still others. Royal decrees and acts of Parliament restricted American colonials in the 18th century to only buying Brit goods, and import duties. The “Federales” tried that with prohibition about a century ago. But in all cases, decrees (or fiat prices in the modern day) fail or are compromised by black and gray markets. The American Revolution was about government by decree and executive orders restricting trade. Prohibition led to bootleg alcohol and the emergence of violent cartels. We have violent cartels supporting today’s drug industry. No doubt, if the government persists with its state-run healthcare experiment, there will be black and gray market responses in both insurance and healthcare delivery. And, endless appeals to the Courts to restore individual choice. Personally, I like the idea of a do-nothing Congress in most things, including this silly GHG meme. The less Congress does to the American people, the better off the American people tend to be. So, if becoming media stars will keep Congress occupied enough to do less to the American people in GHG matters, well, by all means, please, Senator, work those cameras. Can government ram a GHG emissions program down people’s throats? Sure. Will they? Probably – there’s enough money to be made off this GHG project. But if markets fail as a vehicle in support of a coercive project, that failure may say more about the expected benefits of the project than the failure of markets. In the meantime, I’ve got a chain-saw I need to fire up and some leaves to burn. Winter’s coming and the temperature seems to be dropping. Nothing quite as nice as burning some carbon on an autumn day. Herewith, a response to the comments above. I thank the several commentators for arguments both thoughtful and collegial on my brief observations on the EPA analysis of the “social cost of carbon.” However, many of those reactions are not persuasive. With respect to an initial aside from Wil Burns, AEI as an institution does not take positions on policy issues; only its scholars do so, and those views do not purport to represent the views of AEI or of its officers or sponsors. Burns’ argument that “prospects for manipulation of the [cost-benefit analytic] process are reduced by insulating the process from elected officials” is curious, in that the meaning of “insulating the process” is a good deal more ambiguous than Burns seems to recognize. There is no such thing as “objective” analysis by a government bureau headed by an administrator appointed by an elected official and confirmed by the Senate. Moreover, the bureaucracy itself is an interest group pressing for an expansion of its workload, and is very likely to be ideologically biased toward certain classes of policy prescriptions. More generally, government bureaus are not peer-reviewed journals, and a self-evaluating organization is an oxymoron. Does Burns really believe that the EPA bureaucracy will follow wherever rigorous benefit/cost analysis leads even if the findings are diametrically opposed to the political preferences of such appointees as former EPA chief Lisa Jackson and the agency’s new head, Gina McCarthy? The question answers itself. And any such analysis inevitably requires judgments and choices that are more art than science; should the future paths of benefits and costs, for example, be evaluated at the same discount rate? Accordingly, the avenues by which analytic “findings” favored politically can be justified are myriad; that is why the EPA “analysis” of the “social cost of carbon” is so crudely dishonest, and why demands for greater analytic rigor on the part of bureau staff are doomed to failure in terms of the insulation preferred by Burns. By the way, the very question — “the social cost of carbon” — itself is a construct that answers the question before it is asked, in that a sufficiently high discount rate means that anthropogenic warming yields net benefits even if one accepts the view that it would result in apocalyptic effects a mere century from now. With respect to impending apocalypse, by the way, see chapter 12 of the United Nations Intergovernmental Panel on Climate Change AR5 Working Group I, “The Physical Science Basis”; Table 12.4 (p. 12-78) is rather more modest about doom and gloom than has been the case in the past IPCC assessment reports. Only political accountability can impose constraints on such analytic behavior by government bureaus, in the form of a requirement that Congress explicitly approve rules that would impose costs above some threshold. This would yield a crude balancing of costs and benefits as perceived in the complex bargaining processes underlying the collective actions of Congress. That may not yield the regulatory outcomes favored by the environmental Left, but the preferences of voters and interest groups as reflected in congressional outcomes are far more consistent with the pursuit of the consent of the governed than is likely with the nostrums favored by political elites. Having endorsed rigorous benefit-cost analysis unsullied by the unwashed fingers of politics, Burns then applauds the precautionary principle mandate subsumed within the UN Framework Convention on Climate Change (UNFCCC), by definition and from its birth a self-dealing international bureaucracy driven by politics. Burns’ inconsistency here is amusing, as is the precautionary principle itself — a framework under which no one would venture outdoors at any time for work or play, as any number of horrors loom, all of which carry probabilities greater than zero. Even indoors, of course, the precautionary principle requires eternal vigilance, as Pravda in its glory days would have put it, as the roof might collapse at any time. I am surprised that the Left has not proposed a requirement that individuals wear hard hats when indoors, a diktat qualitatively identical to seatbelt and motorcycle helmet laws and other such manifestations of nanny-statism. The precautionary principle, accordingly, is a fundamentally totalitarian construct, as it leads inexorably toward a world in which government dictates which risks are acceptable. Since Burns offers no actual evidence on the magnitude of anthropogenic warming, the basis for his characterization of various asserted ancillary effects of climate change — e.g., “loss of species” — as “pretty egregious” is far less than merely obscure. It is essentially religious. Moreover, Burns’ suggestion of an artificially low discount rate as a crude offset for a refusal to include purely speculative adverse effects utterly devoid of supporting evidence — bear in mind, again, that a sufficiently high discount rate makes global warming a net winner even if we accept the apocalyptic predictions — is far worse than merely inconsistent with his earlier demand for analysis insulated from politics. It is preposterous as a matter of analytic rigor. The comedy highlight of Burns’ observations is the argument that “U.S. action would help to galvanize [actions by] other countries.” The global warming/climate change industrial complex has begun the 19th (!) session of the Conference of the Parties, and the only certainties are that considerable sums of other people’s money will be spent, deafening self-applause on the part of the environmental Left will be the dominant feature of the proceedings, and the only agreements that will be reached will be on the restaurants to be patronized in Lima in 2014 and Paris the year after. Oh the humanity. Burns concludes with a “moral authority” argument: U.S. action will increase “pressure [on] emerging economies” (the Chinese!) to undertake actions as well. Can it possibly be the case that he actually believes something so silly? Marilyn Brown, Matt Cox, and Paul Baer (BCB) begin with the observation that I fail “to deny that climate change is occurring, that humans are principally responsible and that it is bad for the planet.” Apart from the fact that those assertions are outside the scope of my brief critique of the EPA analysis, they reflect, again, the religious nature of global warming orthodoxy. The climate has been changing at least since the end of the little ice age. The degree to which those changes are anthropogenic is something that no one knows, and anyone claiming to know it is simply not being entirely honest. Nor do we know even the direction, let alone the magnitude, of feedback effects. Nor do we know whether the anthropogenic portion of climate change would be “bad for the planet.” (See the point above about the analytic effect of a higher discount rate.) Even something seemingly as straightforward as the surface temperature record is fraught with difficulty. We do know that standard climate physics, and many of the general circulation models, predict that anthropogenic warming should create a slight cooling effect in the stratosphere, and that there is some satellite evidence in support. We know also that the same science and almost all of the models predict a heating effect in the tropical mid-troposphere, the evidence for which is largely lacking. Above all, we know that the policies being proposed by the Obama administration would have effects trivial at most in the context of any general circulation model and any assumed U.S. emissions path employed by IPCC or National Center for Atmospheric Research or any of the European agencies. So: It is likely that anthropogenic warming is real, there is little evidence that it is important, the climate models are deeply problematic, the issue of feedback effects is something about which our understanding is poor, and U.S. policies clearly would be all pain and no gain. And yet the scientific and policy certainties claimed by the global warming/climate change industrial complex are pervasive. BCB ignore also, for obvious reasons, a related point that I made: Because radiative forcing is a logarithmic function of atmospheric GHG concentrations, the trivial effects of U.S. actions will become smaller still as GHG concentrations rise as a result of Chinese and other emissions. This means that the marginal “social cost of carbon” will decline over time. They then claim that the trivial effect of U.S. policy does not matter because “it is the cumulative impact of many small actions that leads to significant change.” True enough, depending on one’s definition of “significant,” but the precise identity of those “many small actions” is not something that Brown and her colleagues bother to delineate. Please allow me to suggest one: Perhaps we should cancel COP-19 and all the subsequent international soirées, and thus eliminate the emissions attendant upon all that air travel and limousine use. Or is climate-change sacrifice only for the little people? That conclusion is consistent with the data on average retail electricity prices reported by the EIA, as summarized in the following table. The winners are states with high power costs or with significant inexpensive hydroelectric resources that would be unaffected by GHG policies. The losers are states with low power costs driven by disproportionate use of coal-fired power. By driving power costs up in the latter group of states, the GHG policies would reduce the competitive disadvantages of the former group. Stephen Maloney’s point that market price signals “have an event horizon that thins out to illiquidity beyond 6 months and essentially dissipates to nothing 12-18 months out” is, at best, either confusing or confused. If price signals are that evanescent, how does the private sector evaluate long-lived energy investments? Ike Kiefer’s discussion of the varying radiative forcing effects of different GHGs is useful, although a bit oversimplified; but the more important point is his recognition that IPCC in the AR5 has reduced its predictions of the adverse effects of increasing GHG concentrations considerably relative to those in the earlier reports. (I noted this above.) It is clear that the EPA analysis of the social cost of carbon ignores this, as the estimate per ton has increased from about $21 per ton in the 2010 estimate to $37 in the (revised) 2013 estimate. Many of Kiefer’s subsequent points about the perversities attendant upon many “environmental” policies — the renewable fuel (ethanol) standard is a good example — are correct. Peter Gardett argues that my original comments “fail to address the real question,” but then seems not to tell us what that is, except for an admonition in favor of “earlier emissions rules,” whatever those are. His assertion that “environmental interests have… panick[ed] the general population” simply is inconsistent with the polling evidence, with the few votes on this general issue in Congress, and with the behavior of the Obama administration, which has had to resort to administrative fiat so as to move forward with its preferred regulatory apparatus. Global warming became climate change which became extreme weather which became changing weather which became SUPERSTORM SANDY! Thus do we find the global warming/climate change industrial complex clinging to anecdotes like so much flotsam in an ocean devoid of actual evidence. Such is the essential nature of a religious movement. Once upon a time the earth was Eden. But mankind, having consumed the forbidden fruit of the tree of technological knowledge, has despoiled it. Only through repentance and economic suffering can we return to the good graces of Gaia. And the plight of ordinary people? For them the environmental Left has no concern and no sympathy, but much contempt. Well, thanks for the “honorable mention” to my comment about market liquidity and depth. I guess I should respond. Where to begin while keeping it short? Well, let’s start with the data. Try CFTC Commitment of Traders reports issued every Friday to see just how much depth there is to various commodity prices. Focus on the open interest, the traditional measure of exchange-traded market depth. You might also see whether markets are net-long or net-short. Problem is only a fraction of the market is exchange traded. We know that bilateral and OTC deals tend to less depth than that. Hence, prices are, well, whatever. One real why there is a Dodd-Frank Act (and EMIR and other G-20 OTC regulatory frameworks). Or, we could consider the various FAS standards outlining how to properly deal with illiquid assets where market depth thins to nothingness. FAS requires a “mark-to-market” price. If you don’t have a market with sufficient depth and liquidity, then you need to employ one of the many FAS standards to infer a price. Alternatively, we could see evidence for the wispiness of prices in the valuations of illiquid energy assets in the demise of Lehman, AIG, and Bear during the recent panic. What took these companies down was market depth – they all had prices only, like Obamacare and cost-benefit projections, those prices were fairy tales, employed CAPM and other practices. And, taxpayers and paying the price for those fairy tales. I recognize Dr. Zycher is a scholar so I’m not at all surprised by his naivete about energy markets and that prices are merely signals – not market fundamentals. Any risk manager or trader can explain these basic facts to him. Or, if he doesn’t trust a trader (they are known for being, well, tough to talk to), simply check with an auditor when they disallow valuations in quarterly reports. But, let’s go to his core question: how do companies value long-term assets if prices are so wispy? Some employ “magic potions”, while others simply use CAPM and hope for the best (while fearing the worst). The IPCC employs hockey-sticks and carries that over to its remediation recommendations. Some run Monte Carlo simulations on simplistic assumptions. But if you believe in Monte Carlo simulations, then you should recognize that risk (price uncertainty) increases at the square root of delta-time. Under simplifying geometric Brownian motion assumptions, that means the price 8 years from now is twice the uncertainty of 2 years from now. In the real world, a valuation without an estimate of risk (volatility) can buy you a lot of mispriced assets – like Lehman and others took on. And that is my point – FAS instructs companies how to infer price and risk for thinly traded assets. Prices are inherently stochastic while prone to bias from the fat-thumb of appartchik interventions. In the case of central bank interventions, such as the Fed’s current QE-forever program, it means there is no market for long-tenored investments in anything other than energy E&P. Central planning, cost-benefit analyses, and pricing carbon 30 years from now are not much different from the angelogy and bleeding practices of the Middle Ages. Of course, that won’t stop people from continuing primitive practices guided by high priests with horrific outcomes. I engage in these discussions as much to learn as to sway others to my point of view. While I am gratified that Dr. Zycher did not skewer me to badly, I did find Stephen Maloney’s comments about the short event horizon of market price signals to ring true, and would like to build upon it. Without the forcing functions of established markets populated with experienced traders having Kelley “blue book” historical benchmarks, I believe it is a real and daunting challenge to value unlike commodities against each other — which is the essence of trade. People today are faced with trying to make choices about modifying their lifestyles based on various ideological and political narratives that between them demonize virtually every human behavior to some degree. Without an appeal to true scientific rigor, they are no better informed of their choices than the native American tribes trading with Lewis and Clark for beads and iron tomahawks, and are almost assured to be getting the short end of the deal for themselves and for their posterity as well. In the modern example, Lewis and Clark, being the government and opinion leaders, happen generally to be equally ill-informed, and are likewise grappling in the dark, often thinking they are winning while cutting their own throats. I believe good government is fundamentally about enforcing contracts — legal, social, moral. It should not limit anyone from engaging in any contract for any good or service under any terms that both parties are willing to agree upon. But when the terms inevitably turn out to favor one of the parties, the government’s role is simply to hold both parties to their agreed-upon terms to ensure the favorable and unfavorable consequences properly visit upon the respective parties as a proper result of their choices. Other free parties can then witness the consequences and learn to make better deals that are closer to parity, and thus value and price are discovered. This is the essence of both the rule of law and free-market economics. Government actions to insulate actors from the consequences of their decisions, release parties unilaterally from their contracts, and favor one side over the other with subsidies and tax breaks and regulatory regimes and even de novo criminalization of arbitrary behaviors is antithetical to its purpose, obscures the empirical evidence of actual outcomes that should be informing society to become smarter and better, and undermines the integrity of the web of relationships that is human civilization. All markets are anticipations of the future to some degree, but most consider only relatively shallow penetrations. The only way to push a market’s event horizon out far enough to accurately price in consequences centuries in the future, is to demonstrate for the participants solid correlations from the historical record that can be rationally projected forward — a historical “blue book” of trade values. Unfortunately, what is used by most in positions of influence today are not historical or scientific facts but manipulations of fear and panic. It is the difference between the highly politicized 20-page summary report of the current IPCC WGIII paper, and the subdued body of the report better captures the scientific consensus. I appreciate your comment, and empathize with your situation. I was a nuke way back in the day. I truly felt like a stranger in a strange land after resigning my commission and entering civilian life. I can only imagine just how surreal these energy policy postings may seem. Let me reassure your gut reaction – they ARE surreal. In the real world where deals get done and trades get executed, it’s all about price and risk. You can’t talk about one without estimating the other. And, as the risk goes up, no deal goes down without a hedging strategy of some kind – unless, of course, you are naturally hedged, like a major E&P entity sitting on a really sweet formation. And, if your deal is “naked”, lacking a viable hedge, you either are brilliant or a fool because you are working without a net. Energy policy advocates don’t work without a net – their goal is to guarantee their deal, paid by Federal debt. It’s just part of central planning. In the fairy tale land of central planning – be it health care, energy policy, or central banking – you enter a bizarro world where the laws of mathematics and physics are deliberately distorted. The Keynesians will tell you breaking a lot of windows will foster a lot of growth which would seem to imply we all should be breaking a lot of things in order to “stimulate” growth. The healthcare wonks will tell you …. well, I won’t go there – read the newspapers. As of today, there are more than 3.9 million people WITHOUT health insurance since the Affordable Care Act was passed with the goal of increasing people on health insurance. And, the wonks call it a success. Maybe more broken windows. Which brings us to the energy fairy tale. Here, you read about CAPM as if that’s how deals get done. Or, you read crony capitalists and special interest advocates push their deal using the corrupt methods of cost-benefit calculations, where there are no sunk costs or illiquid assets. With those looking for the government to bless and sanctify their deal, prices are absolute and fundamental – accurate and reliable, predictable decades into the future. Not the stochastic process they really are, not unlike sonar echos – distorted by salinity and thermal effects, hidden among background noise, and increasingly wispier the further you drift away from their origin. “Energy policy land” is like Aquinas’s angelogy, used to press forward a pre-ordained agenda. Once it was “energy security”. Today, energy policy is in the service of engineering the climate for a century from now. That nobody has ever engineered a climate before might be an inconvenient truth, as they say. But, let’s not let inconveniences get in the way of a “world to win”. You can reorder an economy using cost-benefit analysis. But if you used those same methods to value your assets in a public company (instead of FAS standards), you would be convicted of running a criminal enterprise, not unlike Enron and its leadership. Go figure. To a stranger in a strange land, returning from sea, you know that complex processes are not subject to plans. You enter a war with plans, and those plans are tossed aside when the bullets fly. Or, as Mike Tyson has been quoted “everyone has a plan, until they get punched in the face”. In the real world, there are no plans – only opportunities and constraints to be worked. And lots of Mike Tysons. That leaves you with a choice returning from sea: do you want to learn about the bizarro-land of energy policy, the black art as practiced here and in other OECD countries looking to tilt the scales when the public won’t buy the product? Or are you interested in how energy is really bought and sold? I would recommend you focus on the latter. As we all know, sooner or later, fairy tales come to an end, and reality sets it – cold and hard. I’ve read the comments on both sides of the “Social Cost of Carbon” debate. The debate revolves around a variety of issues: whether global warming is real and if it is whether it is a problem, whether CO2 emissions should be the focus, whether the U.S. should subsidize developing nations in dealing with global warming, whether and how to consider the costs for future generations implied by discount rates, and whether the EPA can be trusted to provide objective analysis. I’d like to provide my perspectives on these issues. Carefully-analyzed scientific data from 1880 to the present show a long-term upward rise in global mean surface temperature. As reported many times in the media, 97% of climate scientists believe this global temperature rise is caused by human greenhouse gas emissions. Global mean surface temperatures have not risen over the past decade, but one reason may be due to absorption of heat and CO2 by the oceans, which has its own risks (stonger storms, greater likelihood of release of massive amounts of methane from ocean floors, ocean acidification). The short-term plateau in surface temperature does not negate long-term trends, and needs to be better understood. Mr. Kiefer and Dr. Zycher claim the IPCC report actually says something different than the report summary, questioning whether global warming will continue or that it is bad for the planet. I find it hard to believe that no climate scientists involved in the IPCC report have been reported by the media to complain about such misrepresentations. Mr. Kiefer quotes Prof. William Nordhaus as an expert on evaluating social costs of energy/environmental policies, but ignores the fact that Nordhaus wrote an article in 2012 called “Why the Climate Skeptics are Wrong” and advocates for acting now to address climate change. Mr. Kiefer notes that CO2 emissions are not the only source of global warming, and that other greenhouse gases such as nitrous oxide, methane, and nitrogen triflouride must also be considered. He also argues for consideration of the overall impacts of each energy source on water and land use. These are good points and I agree that a comprehensive analysis of all greenhouse gases and their impacts should be undertaken to make the best recommendations of how to address global warming. Clearly, policies should be considered to restrict emissions of all greenhouse gases as deemed most effective. The overall integrated analysis should involve a mathematical modeling approach that maximizes economic development while meeting global warming targets. I disagree with the argument about the U.S. addressing global warming to be a subsidy for developing nations. Global warming can only be solved if all nations take appropriate policies to address it, particularly led by the U.S., other developed nations, and large emitters like China and India. The U.S. will suffer massively from significant global warming over the long term: flooding of major coastal cities, droughts devastating agricultural production, severe damage from frequent intense storms like Hurricanes Katrina and Sandy, widespread wildfires in the West, spreading of diseases, and the substantial military costs of dealing with upheavals and refugees around the world. Developing nations may be hardest hit first, but the U.S. will have massive problems to deal with over the long term. The impact of global warming on future generations will be greater than on the current generation as temperatures rise substantially over time under a business-as-usual scenario. Global warming is different than a traditional multi-period economic planning problem because once a threshold of global temperature is passed there will likely be calamitous effects with no way to reverse the situation. Discount rates that substantially discount future costs as compared to present costs cannot properly capture this horrendous situation for future generations, and it is morally unjustifiable for our generation to leave future generations in that disastrous predicament. I have used discount rates in energy planning models but I do not believe they should be used to discount the costs of global warming to future generations because the costs are potentially so enormous and irreversible. Economic models should focus on halting global warming, and find the most cost-effective way to achieve this over time. Social costs of greenhouse gases can be determined in that framework. I believe carbon and other greenhouse gas taxes are an efficient way to address the environmental social costs, and can be used to help fund government initiatives to build clean-energy infrastructure. Finally, Dr. Zycher states that the EPA is an interest group like any other interest group since it is an arm of the federal government and influenced by its political masters. There is some truth in that argument, but there are many special interest groups influencing public policymakers. The American Enterprise Institute, of which he is affiliated, is influenced by corporate special interests. I believe we need an objective approach to assess energy policy options and their full range of impacts. In the 1980’s while I was a visiting professor at Stanford University, Prof. George Dantzig and I proposed the Multiple Input Decision Formulation Approach (MIDFA) in which a forum is established to provide a common framework for special interest groups to understand and communicate on energy policy issues. The general idea of this approacyh is to have special interest groups identify the policy options to be considered and the key criteria to measure the effectiveness of the options. Then the managers of the MIDFA process would invite leading objective analysts to quantify the impacts of each option using mathematical/computer models, and there may be different estimates from different analysts. This would lead to a comprehensive objective assessment of the options where all groups are properly represented and informed, and hopefully lead to progress on these difficult but critical issues. by citing the 97% scientific consensus statistic uncritically, you make my point about the dangers of trusting the media and celebrities and politicians to be arbiters of truth instead of reading the published papers such as this IPCC report for yourself. What is the source of this “97% consensus” meme? In 2010 the late Stephen Schneider et al. published a study that found “≈97% of self-identified actively publishing climate scientists agree with the tenets of ACC [anthropogenic climate change].” (Anderegg, William R. L., James W. Prall, Jacob Harold, and Stephen H. Schneider. “Expert Credibility in Climate Change.” Proceedings of the National Academy of Sciences (June 21, 2010): 201003187. doi:10.1073/pnas.1003187107.) This consensus was not 97% of all scientists, nor 97% of all American scientists, nor even 97% of all American climate scientists. It was 97% of “an extensive dataset of 1,372 climate researchers . . . most actively publishing in the field.” This is roughly equivalent to taking the staunch and polarizing convictions of a tiny minority of people motivated enough to write letters to the editor and extrapolating their views to be representative of the intensity of conviction of the readers of the paper. Even more revealing is to dig up the actual substance of the consensus. It is generally and mistakenly assumed to be agreement that there is a looming man-made climate catastrophe that requires immediate drastic intervention to curb CO2 emissions to avoid. In actuality the survey question behind the consensus is typically something as non-committal as this question from a 2009 survey that similarly reported 97% consensus in published, peer-reviewed science journal from a poll that only included 3,146 total respondents: “Do you think human activity is a significant contributing factor in changing mean global temperatures?” (Doran, Peter T., and Maggie Kendall Zimmerman. “Examining the Scientific Consensus on Climate Change.” Eos, Transactions American Geophysical Union 90, no. 3 (2009): 22–23. doi:10.1029/2009EO030002.) That question requires no consensus on even the direction of temperature change (warming or cooling) let alone that humans bear a major or principal role, or that there are negative consequences of climate change, or that urgent action is needed, or that CO2 is the causal mechanism, or that curbing CO2 emissions is the proper path for mitigation, etc. When the survey aperture is opened up to non-publishing climate scientists or publishing non-climate scientists, or all scientists, the consensus percentage dramatically drops, as it does when specific elements above are included. We are a doomed culture if we make up our minds before having the facts, allow only the most vocal and angry and self-interested to speak as our authorities, and trust Twitter as our science feed. Labelling U.S. greenhouse gas abatement as foreign aid seems to me to be no more than stating a simple truth. Henry M. Goldberg disagrees. Still, if 90 percent of the benefits accrue abroad, as some models imply, ‘foreign aid’ seems like a fair enough description. But the real question is whether this is a sensible kind of foreign aid. If U.S. policy were to invest in abatement up to the point at which the costs of avoiding an added tonne of emissions equaled the marginal damage avoided by the United States, foreigners would still reap most of the total benefits. But their gains would come at no net cost to America. In stark contrast, the Obama policy is to drive U.S. marginal abatement costs to the much higher point at which they would equal to all avoided harm wherever in the world it occurs. Such a policy is not just foreign aid; it is lessening U.S. economic welfare for the benefit of foreigners. Someone may, of course, wish to do just that. Americans are a generous people. What I object to is trying to disguise what are in fact income transfers to foreigners as economic gains to the United States. I fully agree with Dr. Goldberg’s statement, “Global warming can only be solved if all nations take appropriate policies to address it…” Yet the risible state of the climate talks going on right now in Warsaw sends a clear signal that nothing of the kind is going to happen for a long time. Dr. Goldberg’s post seems to imply (though I would welcome his correction if I am wrong) that he would have the United States, heedless of other key players, plunge ahead with costly stand-alone abatement measures. This is clearly the Obama policy. The theory behind this prescription appears to be that a U.S. example will somehow impel other states that do not now find greenhouse gas control to be in their interests to reverse their judgment. The validity of this theory is crucial to the entire ‘green’ position on greenhouse gas controls. But does the theory comport with experience? Do China and Russia emulate U.S. standards on human rights? Or its standards on intellectual property rights? The basic U.S. formula for long-term economic growth is open access to both politics and markets. The Communist Party of China seems unpersuaded. What about local air and water pollution? When Beijing finally changes its priorities on local pollution, as it may or may not be doing, it will not be because the United States adopted the Clean Air Act forty years ago. I share at least part of Dr. Goldberg’s concerns about possible harm from climate change, but, if the proponents of stand-alone greenhouse gas controls want Americans to heed their calls, they owe us a theory of how such controls will lead to global action, and they owe us evidence that the implied model of state behavior is accurate. If the theory rests on some version of the power of U.S. example, why will this factor be effective in this sphere when it fails in so many others? They owe us, too, evidence about just which key interest groups in Beijing, New Delhi, and Moscow will be persuaded by U.S. example, and why they have the power to tip the political balance. All the rest is just so much preaching. Mr. Kiefer and Mr. Lane, thank you for your comments on my post on the “Social Cost of Carbon”. Mr. Kiefer you provide some interesting details on where the “97% consensus on climate change” statistics come from that are quoted in the media and by politicians. The Schneider et al survey of actively-publishing climate scientists agreeing with the tenets of anthropogenic climate change is a strong statement to me that knowledegable climate scientists generally support this concept. Al Gore often talks about the fact that every major National Academy of Sciences in the world also supports this concept. I, like any other concerned citizen, don’t have the resources to interview every climate scientist in the world about this, but there seem to be very few climate scientists that speak out against the concept of anthropogenic climate change. I would guess that if you posed the question to all climate scientists in the world “Are you concerned about the risks of potential catastrophic damage from future global warming” that a very high percentage would answer yes. I think an intelligent, informed person like you would have a hard time answering no to that question. I read the article you referenced on James Lovelock, and he says in it ” we will have global warming, but it’s been deferred a bit” — the point being that the rate of global warming still needs to be better understood. Mr. Lane, you ask for my reply about whether I would have the United States, heedless of other key players, plunge alone with greenhouse-gas abatement measures. I think the way the U.S. should go about doing this is to first develop a strategic plan about how it should most effectively address the global warming problem. Right now, there is not enough commitment from politicians to do this nor an effective process to determine the optimal approach to building a global warming strategy. Once the U.S. has developed this strategic plan, it should encourage the development of similar strategic plans in other countries, particularly the large greenhouse-gas emitting countries. Then the UN international conferences should work out the processes to ensure these strategic plans are implemented, the impacts measured, and the international co-operation needed to achieve global implementation. Right now, UN conferences like the Warsaw conference are trying to get agreements from countries that don’t have strategic plans they can agree on internally, so there is alot of confusion about who should take the lead and how to go about it. It’s clear that all countries need to act to solve the global warming problem, and they all need to be committed to it and have intelligent strategies as to how best to do it. Price is $75 too low. Looks like we shall all learn the benefit of central planning. Seems that the Soviet lesson was inadequate. I must admit I find most of the conversation above almost surreal in the face of the risks that materially changing the atmosphere virtually has to entail (or that we should at least assume are entailed since tend to be pretty risk-averse in most of our personal decision-making). I know that it’s easy to disagree with the specifics of any given policy approach to addressing climate change, and to have fundamental philosophical problems with the governmental role suggested by needing to address the economic externality that is causing such fundamental changes to the atmosphere. I’m not arguing for the accuracy of any given climate change forecast, dire or otherwise. Indeed, I think it’s nuts to base a societal response primarily on the results of incredibly complicated models when we’re running a one-way and one-time planetary experiment. But to refer primarily to economists for the proposition that we don’t need to worry about climate change just doesn’t make any sense. The conversation we need to be having, and that we’re not having, is about the subject of risk. How much risk are we willing to take, and for what benefit? Ironically, the Social Cost of Carbon misses much of the risk issue since most SCC modeling is “risk-neutral.” Who came up with the bright idea that discussion of planetary futures should be risk-neutral? Although I’m afraid that also pretty much sums up most of the discussion in this thread.